Book Review: Harry Potter and the Cursed Child, the long awaited 8th book! 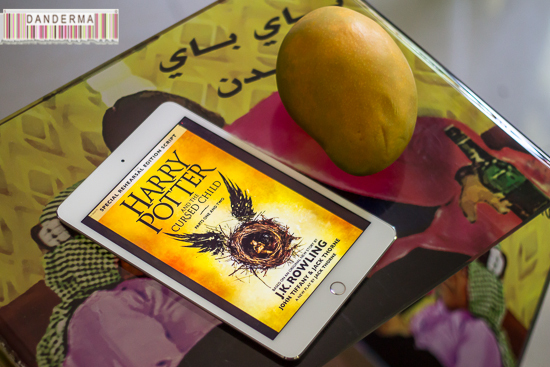 I’m writing this post with a head buzzing with thoughts, heart fluttering with feelings, and eyes brimming with tears as I’m in a roller coaster of emotions that’s been tumbling since I returned home from work and sat with my iBook copy of the long awaited 8th book of Harry Potter, the one with the Cursed Child. Comments Off on Book Review: Harry Potter and the Cursed Child, the long awaited 8th book! • Books • Kuwait • Life • London • Memories • My Photography • News • Occasions • Q8 • Recomendations • Things I like • Things I Miss • Things i'm waiting for!